Pear and the Pickle is a modern neighborhood café offering seasonal prepared foods, breakfast sandwiches, baked goods, and proudly brewing Stumptown coffee. 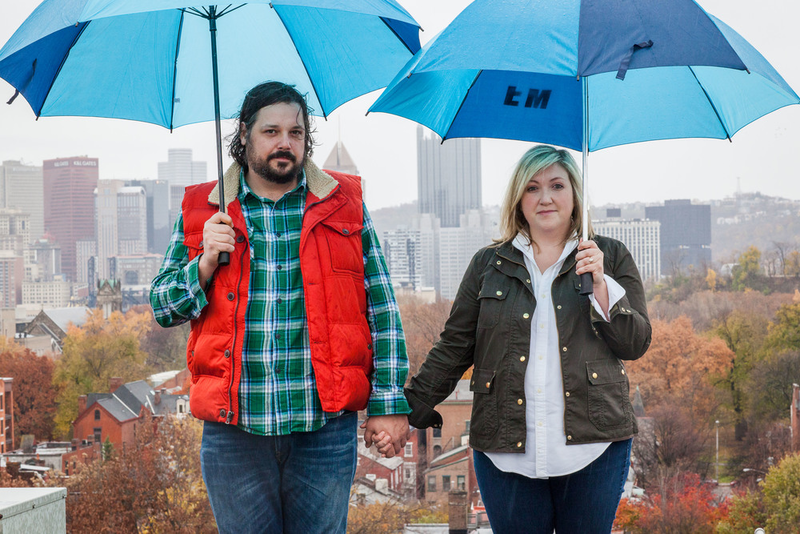 The husband and wife team behind Pear and the Pickle packed up a U-haul in January 2011 and made the snowy drive to Pittsburgh from Brooklyn. In between questions of ‘do you think this truck is going to make it up that hill?’ and ‘what was that sound, did we hit something?’ they dreamt up a plan to open their own café that would be a reflection of the good food and friends they had left behind. Alexis is a western Pennsylvania native and grew up in her grandfather's general store, which is the inspiration behind Pear and the Pickle. Her day job at American Eagle Outfitters keeps her busy as part of the team that manages corporate communications. Bobby was born and raised in Grosse Pointe, Michigan. His kitchen philosophy—to use the freshest ingredients available—is a reflection of the nine years spent working under chef Laura Taylor at Brooklyn’s Superfine. While at Superfine, Bobby realized the importance of neighborhood restaurants, and the positive impact they can have upon a community. In 2016, Troy Hill residents Alexis and Bobby welcomed identical twin boys, Jack and Oliver, to their family.